For a non-elite poler, I am relatively strong. I've taught conditioning classes, and strength training is something I'm known for as a teacher. Wanna know what my current gym routine is? 2 sets of pull-ups, 2 sets of bench presses, lots of stretching, and usually some abs. MAYBE a set of shoulder presses if I don't feel like leaving the gym yet. Less than 20 minutes--and most of it spent stretching. And oh yeah: I only go twice a week. My students will probably feel ripped off to read this. "But Pippi! What about all those conditioning exercises you gave us? You said I had to do 10 reps of that awful exercise 3 times a week! You don't even do them?" Not at the moment. But I did. I did them a lot. I did them a lot over the course of several years. And I will probably take them back up again when I need them. The thing is, I've been working out for... does the math... 11 years? I've reached a base level of strength that I can maintain without a ton of effort. Sometimes I'll decide I need to be stronger in a certain zone in order to do certain moves, and I'll ramp up effort. But if I have other priorities, I can more or less coast. Pole (and cirque nouveau) is such a young art form that my 9 years make me somewhat an old timer. (Although plenty have gone before me and paved the way for me and the rest of us.) Most of my students, even very advanced ones, have been training for much less time. I often have to remind them: "I'm not at the level I'm at because I'm something special. It's because I've been doing this for 9 years." The problem is that "slow and steady" doesn't sell. We all know we're a "gimme now" culture, and that applies to skills as well as to material possessions. (See Training when you don't have enough time.) Plus, there are always outliers you can point to and say "She did it in only 3 months! I should be able to do that too!" The truth is, I'm really into efficiency. But there is also a place for patience and growth over time. I always hear/see people say/post "I'm going to get this move by the end of the month!" Goal setting is admirable, but you don't decide when you're going to get a move. You can influence how quickly you're going to get it by how hard and how smart you work, and who and what you consult for help. But ultimately, your body is going to make that decision, and if you try to force it, you'll hurt yourself. (See Are you overtraining?) And if you try to hold to unrealistic goals, you'll frustrate yourself. I do believe you should work hard. But I also believe it's OK to say "If I practice this move a few times per session regularly, I'll get it eventually." Finally, don't confuse patience with laziness. 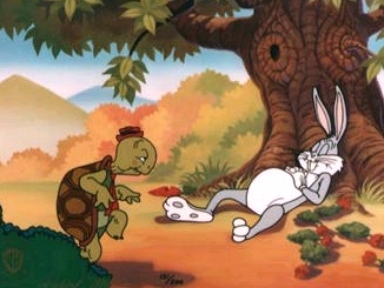 The second half of "slow and steady" is "steady." I've been poling for 9 years--consistently. I've been doing silks for almost as long--on and off. I would feel comfortable in any advanced pole class anywhere in the world, but I've never been truly advanced at silks or any other circus art. Meanwhile, not to be cheesy, but enjoy the journey. Polish what you can already do, and appreciate the movement on an internal level: not because you like hearing the applause or lust after respect from your fellow artists, but because it feels amazing to do it. If you don't feel like Superman when you're doing a superman, you're missing the point.